Hello Everyone! Wowzer, it's been awhile! First off, my blogger platform has changed and the computer I did most of my blogging on no longer supports it. So, that cut out much of my blogging time. I have worked something out now, so I'm back! I have many posts coming with all the deets. Here's a bit of a summary. We took a beautiful, relaxing, exciting, fabulous and much anticipated family vacation to Tulum, Mexico! Lot's more pics and a review to come! 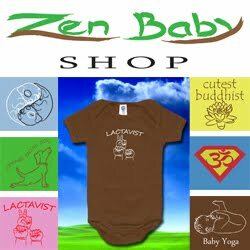 We launched ZenBabyShop.com! We had a Baby line in our former shop, Organic Outpost, but I felt that Zen Baby needed it's own place. Mr. Crafty designs and screen prints the onesies and T's. All 100% Organic, AZO and PVC free! Check it out! I finally got my back tattoo finished. It only took 5 years :/ Ha! Kevin at Still Life Tattoo is awesome! Mr. Crafty has now taken up tattooing, so I've got another tatt started. I hope this one doesn't take 5 years to finish! 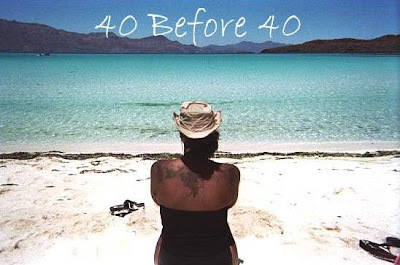 I've also done a few things off my 40 Before 40 List. Yay! Looks like I'm going to have to update! I sure did miss this place! It's so good to be back! Your tatt is GORGEOUS! Welcome back.... missed ya ;) Wow, Mexico looks incredible, looking forward to reading about your holiday. Also, off to check out Zen Baby NOW!